Last week I was contracted to make and install about 30 decals of a well-known brand of residential and commercial paint. 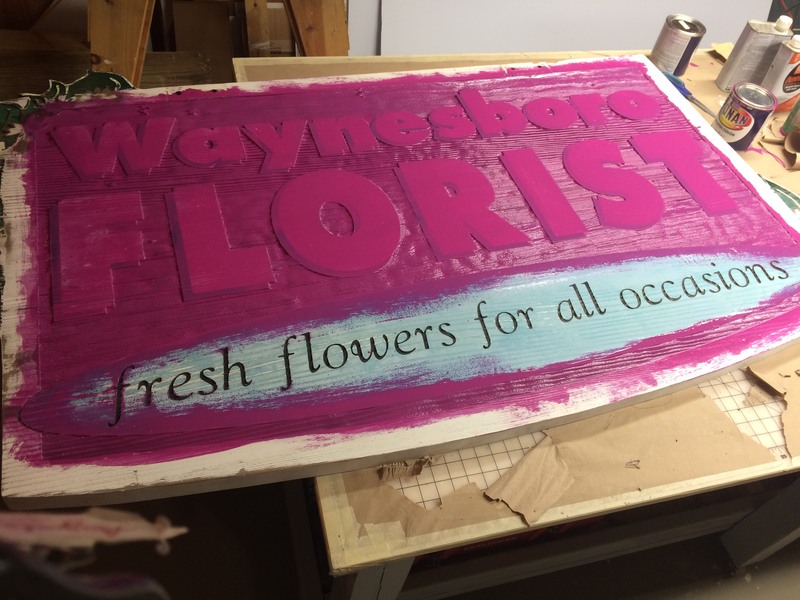 The owner of two retail stores, one in Waynesboro, Virginia and one in Staunton, had renovated their store interiors, repainting the shelving fixtures in an updated color. When they repainted the store fixtures, they painted over the old logos, so they hired me to make new ones. The shelves ranged in width from about 48″ to 65″ and the decals were designed to fit all widths. I provided a scaled sketch and presented a color swatch of the decal color. The customer could not get a copy of the logo in vector format, so I was able to vectorize what they provided as a jpg. The project took about 10 days to complete from the time I received their proof approval and deposit check, taking about a week to get the vinyl material, a day to cut and prepare the graphics, and a few days to schedule and make the final deliveries and installations at both stores. Even though it was an interior application, I used high performance 10-year exterior Avery vinyl film for the decals so they will last a long time. 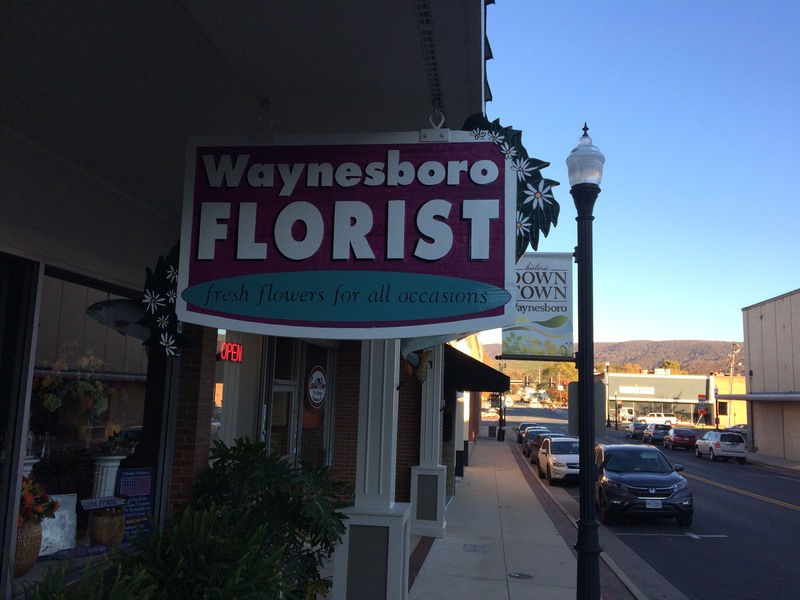 I frequently get calls from new customers who have purchased existing electric signs with their new business property within my service area of the Waynesboro, Staunton, Harrisonburg, Richmond, Winchester, Roanoke, Lynchburg regions of Virginia. They call me for pricing and timing needed to change their covers for electric signs. They regularly call “covers” what I call “faces” but what they are needing is new sign panels for electric signs. Least expensive type: Flat plastic sign panels of either acrylic (Plexiglas) or polycarbonate (Lexan) with either graphics on the outer surface or backsprayed. 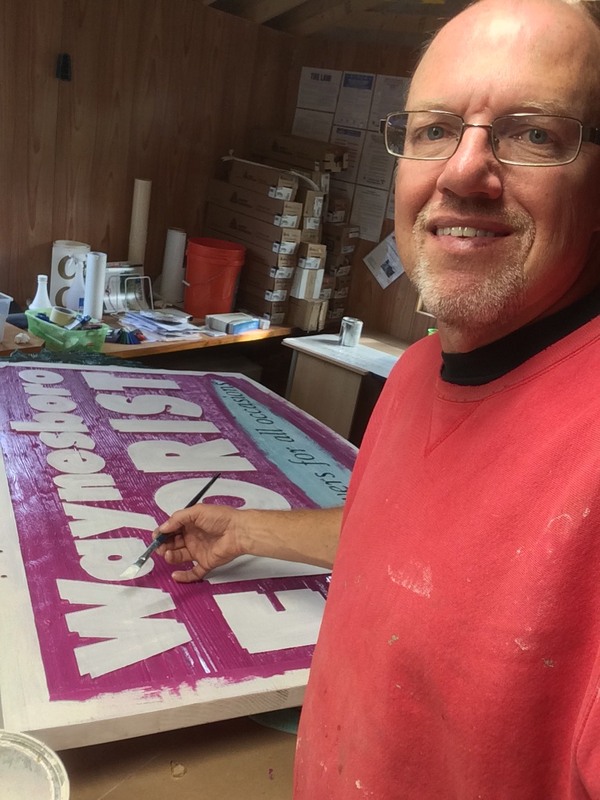 Stronger type and best for thinner cabinets: What I call “pan” faces, which are vacuum-formed plastic signs made of either some type of acrylic or polycarbonate material with either graphics on the outer surface or backsprayed. Or, Strongest of all and dimensional for added good looks: Embossed graphics on a pan face. If you are in need of replacement covers for your lit sign in Central or Western Virginia, I would be happy to take a look. …and many other areas in between! 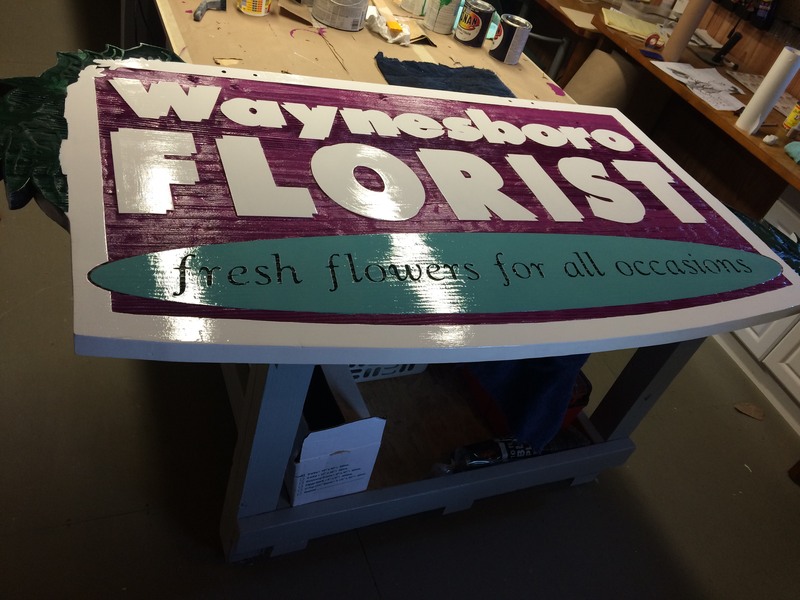 Give us a call today at 540-943-9818 or e-mail mark@augustasigncompany.com for more information. Wood sign restoration is what I love to do! 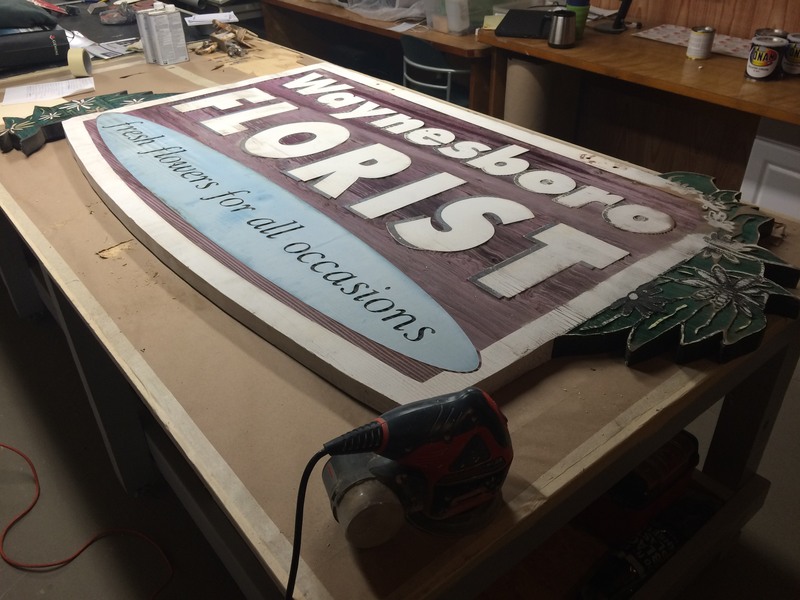 I made Webber Payne’s sandblasted wood sign in the mid-1990’s, and he recently contacted me to restore the sign back to its original brightness that grabbed attention of shoppers in downtown Waynesboro, Virginia.